Summer in New Jersey is a time for backyard barbecues, swimming in the pool, and gathering with friends and family for good times. And most of these wonderful experiences happen on an outdoor deck. A wooden deck takes a beating during the highly trafficked summer and then faces the elements of winter. Consider these seven reasons to get wood deck refinishing this summer to make your yard an even better place to entertain everyone. Did you ever look at your deck and see tones of green and gray rather than the wood color it should have? 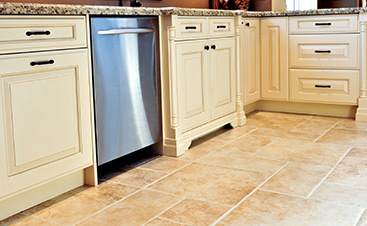 With ongoing exposure to moisture, mold and mildew start to form. And this can ultimately compromise the appearance and structure of your wood deck. A professional will sand and refinish the deck to bring out the luster of the wood again. Minor deck repairs left undone can lead to major injuries. If someone cuts a foot on a raised nail or trips over a broken slat, it can ruin the gathering and leave the homeowner liable for the injuries. A local pro can easily fix these areas to make the deck safe for everyone again. And this is also an ideal time to have the deck sanded and refinished so all the repairs blend together seamlessly. Some people have light colored decks and others chose dark woods. Over the years, people start to get tired of having the same look in their yards. And refinishing a deck is the perfect way to give it a face-lift. 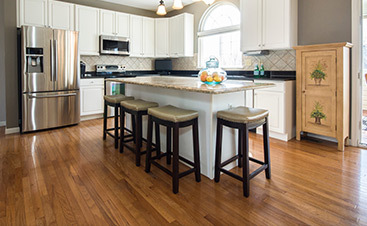 Lighter woods can be stained to have a rich, dark hue. And sanding dark woods leaves a lighter color that can be stained and refinished according to the homeowner’s preferences. A sturdy deck stands up to ongoing use and all the various weather elements. From the beating sun to pouring rain and ice, this wood goes through everything the weather offers. And as the years pass, the deck shows signs of wear and tear. Take an objective look at the condition of the deck and decide whether it is safe to continue using without repair and refinishing. Consult with an industry expert to find out how to make the deck as safe and attractive and possible within your current budget. In New Jersey, people are never quite sure what conditions the weather might bring. Hot summer days mean the sun beats down on the yard for hours. And sometimes the winters can get brutal with heavy snowfall and weeks of ice. Your deck has to face the months ahead, including moisture and the heavy weight of continued traffic. Work with a local pro to get the deck properly repaired and refinished. 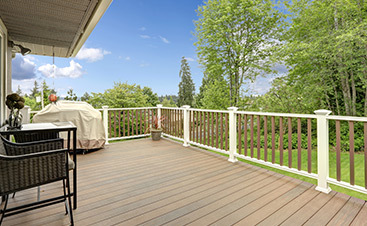 A deck is one of the focal points in the front or backyard. And people are always drawn to this appealing outdoor living space. Refinishing the wood makes your deck look beautiful. And you can choose a hue that matches your outdoor furnishings and decor. Or update the appearance of your deck completely then get furnishings to match. A dining table, outdoor sofa, outdoor kitchen, or a bistro set are all great ideas depending on the size and location of your deck. One of the biggest benefits of refinishing your deck is a fresh looking without replacing the entire structure. 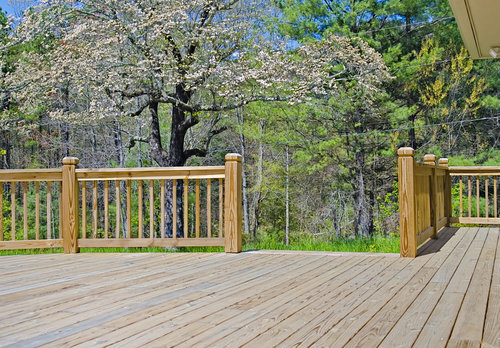 It is less costly to repair and refinish the deck than it is to replace it. Consult with a local expert to find out the possibilities. Take advantage of the clear weather and inquire about having your deck refinished so it looks fantastic for entertaining.